Each mother wants to dress her child only in the best, high-quality and beautiful outfit. It is important to take into account the desire of the boy himself. 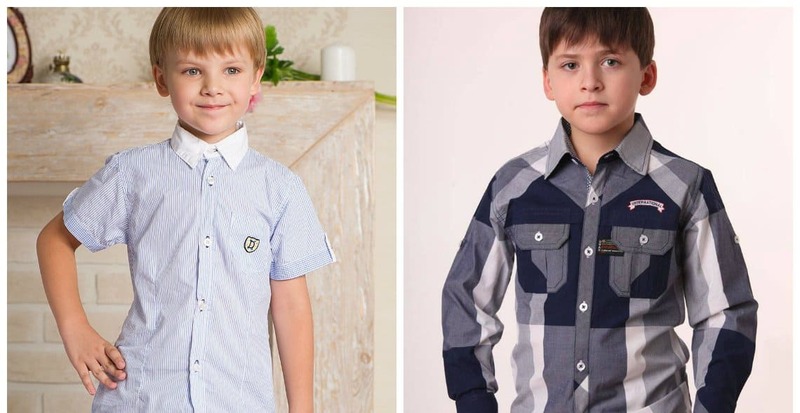 So, let’s find out trends of boys clothes 2018 in order to choose stylish options of boys outfits. Now many fashionable parents dress their children in a mini-copy of their clothes. This trend can be considered in many modern designers. What’s in vogue for the young mods this season? The most versatile object of the boys wear is a shirt, as it is suitable for street, school, various events. The classic model is perfect for school uniforms, especially if you complement it with a tie. 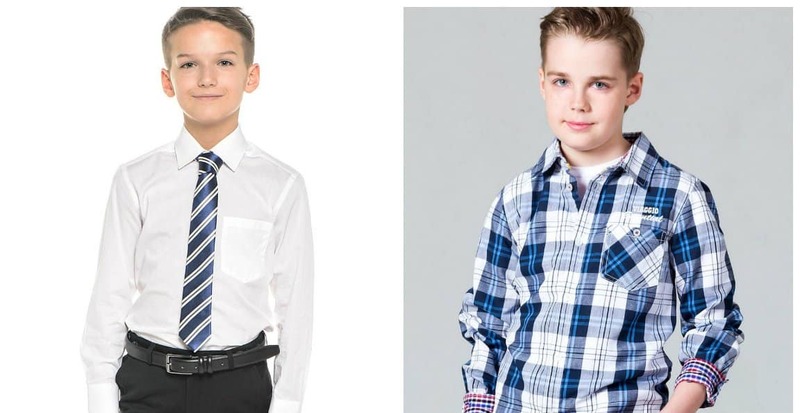 Such shirts are great for boys of any age and complexion. It won’t restrain movement, which is very important in such an active age. Polo shirts combine the features of an ordinary shirt and T-shirt. It is distinguished by the presence of a collar and several buttons that play a more decorative role. Polo is a comfortable and practical trend of boys clothes 2018. Slim fit models are suitable for boys who have a sporty, slender figure. Chubby boys better not to wear these shirts, as they emphasize the shortcomings of the figure. Jacket Alaska, otherwise known as the “park”, is a bright and stylish trend of boys clothes 2018. This model is perfect for a cold winter. The warmed product on the sheepskin will warm the boy even in the most severe frosts. Park jackets are presented in a variety of colors and with various design elements. Don’t change the traditions down jackets. Along with down jackets, the leading place is occupied by parks. The jacket is a good example of comfortable and practical clothes. 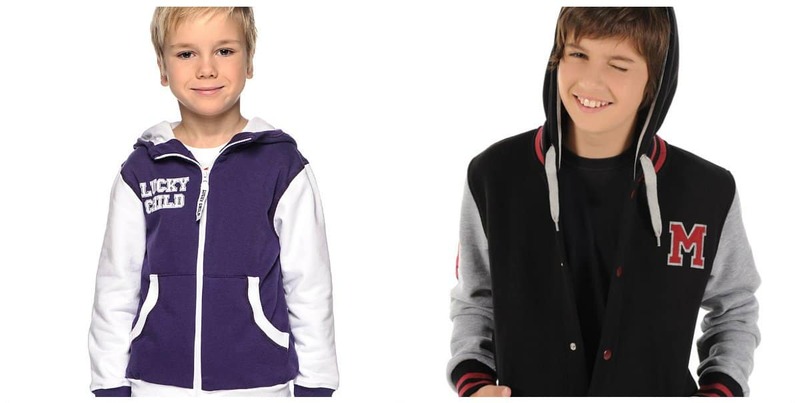 Elongated and short parks, with fur and leather inserts, are in the trend of boys outfits. Fashionable windbreakers will again be in demand. Jackets transformers look perfect. They are comfortable and practical. You can easily get a simplified version of the jacket unfastening the sleeves. Leather jackets will be a special trend. In this season, designers offer leather jackets in classic black and gray colors with iron inserts. Raglan sweater model is in the fashion of boys clothes 2018. Sweaters with such free-style sleeves, with an increased armhole, look stylish. Designers create models in which the sleeves differ in color from the rest of the product. It makes the sweater of this style very elegant and stylish. The pattern in the form of braids is reminiscent of a hand-knitted sweater. In this winter season, sweaters with voluminous braids on the sides and on the sleeves will be in trend. Boys wear have a more concise design. Designers use applications with the image of favorite cartoon characters. Bomber is a stylish and practical hoody without a hood and zipper. The model assumes the presence of cuffs on the collar, sleeves and at the bottom of the product. Bombers have large capacious pockets. Hoodies with hoods are an indispensable thing in the wardrobe of every boy. They reliably protect from bad weather and perfectly fit into the everyday image.